The attention and care with which we manage the kitchen allows us to state that the restaurant is the flagship of our structure. Our chef, Mr. Marco Novello, offers you varied menus aspiring to meet your individual requirements. 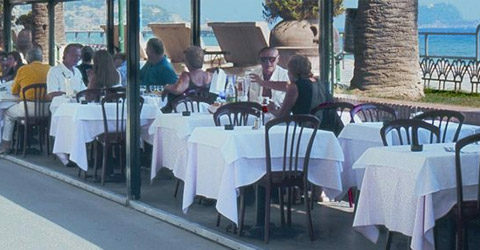 A simple and light cuisine with traditional dishes of Liguria. The restaurant dining area is divided into two zones, one with air conditioning and one without. The restaurant offers daily a varied menu of both seafood and continental dishes, with the possibility for external guests to enjoy our beautiful garden. There is also a large lounge ideal for banquets and private parties.